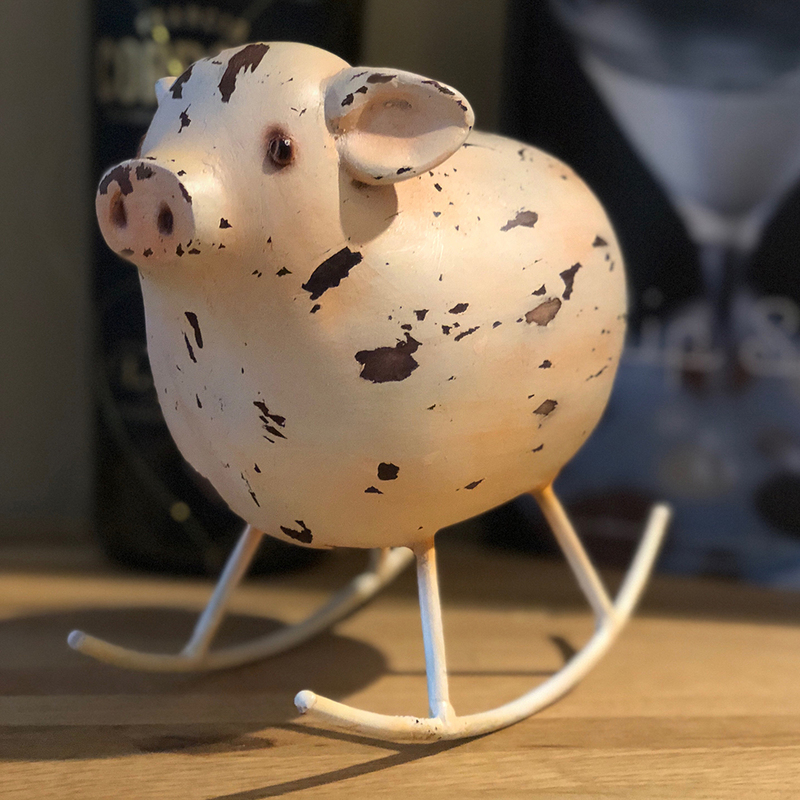 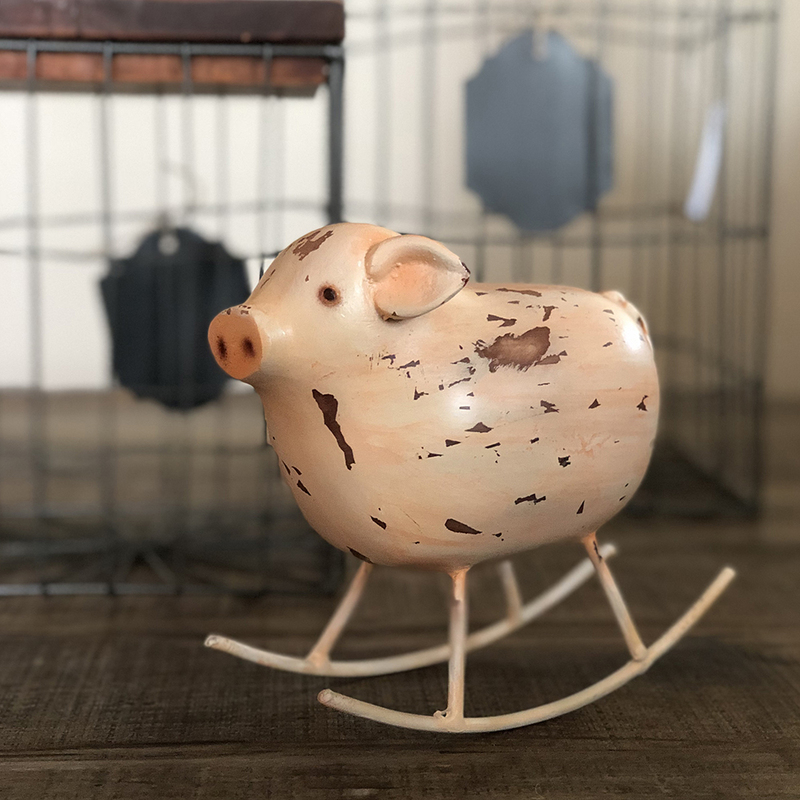 With its curled tail and flattened snout, this pig fits perfectly in the modern farmhouse scheme. 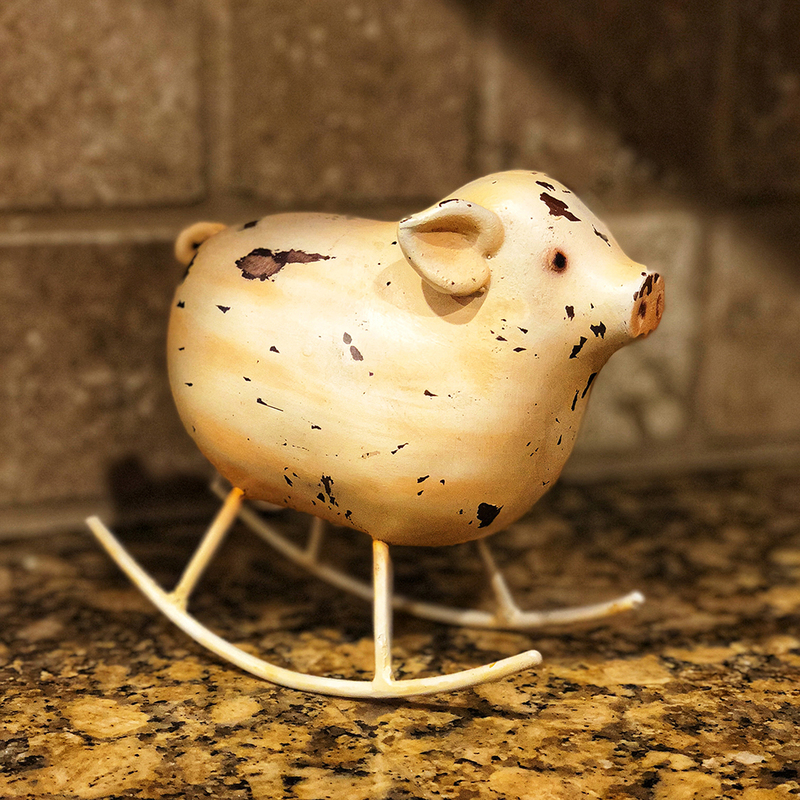 The distressed finish and vintage charm provide a familiar and comforting vibe that makes a house feel more like home. 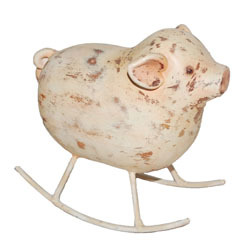 This solid and heavy pig feels aged and the high-quality piece will make anyone smile.